Real-time proxy voting disclosure by big funds could drive competition for investments from individual investors and smaller institutional investors with few resources for proxy analysis. Such disclosures would also go a long way in solving problems raised by Delaware Supreme Court Chief Justice Leo E. Strine, Lucian Bebchuk, and the Main Street Investors Coalition regarding potential conflicts of interest and/or under/over investment in ESG analysis and advocacy. The cost of real-time proxy voting disclosure would be minimal and may actually save funds money currently spent converting voting files to pdfs. Our key insight is that although index funds are locked into their investments, their investors are not. Like all mutual fund shareholders, investors in index funds can exit at any time by selling their shares and receiving the net asset value of their ownership interest. This exit option causes mutual funds – active and passive – to compete for investors both on price and performance. While the conventional view focuses on the competition between passive funds tracking the same index, our analysis suggests that passive funds also compete against active funds. Passive fund sponsors therefore have an incentive to take measures to neutralize the comparative advantage enjoyed by active funds, that is, their ability to use their investment discretion to generate alpha. Because they cannot compete by exiting underperforming companies, passive investors must compete by using “voice” to prevent asset outflow. In the case of Strine’s concerns with political contributions, use of “voice” would be voting in favor of measures requiring shareholder approval or at least transparency of political contributions. While Strine’s paper was based on actual behavior, Fisch points to potential, if funds operate logically. The potential for “voice” to ensure competitiveness with active investors also addresses, at least in part, some of Bebchuk’s concerns. 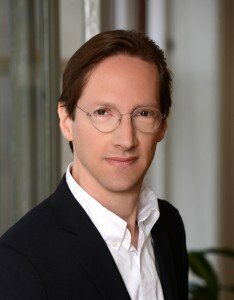 Fisch also points out in another paper (Shareholder Collaboration) that passive investors are increasingly engaged in information production of their own, not “just as ‘reticent’ supporters of initiatives undertaken by activist hedge funds.” Because of their size, huge passive index funds often cast deciding votes. Because of their market-wide focus, they often have information the firm insiders do not have. In many cases the potential rewards for index funds can be disproportionately high, compared to their investment in time, since they typically hold a significant portion of the outstanding stock at most large firms. Fiduciary obligations are complicated. “Mutual funds’ fiduciary duties require them to vote in a manner that benefits their investors, not each company that they hold in their portfolio.” (Passive Investors) For example, holding both target and bidder might lead to a different vote than holding only one. Given that funds operate within such a weak standard, it is important that individuals, the real Main Street investors in index funds, have ready access to voting records in an easily compared format. Keith L. Johnson, et al., point out the importance of fiduciaries conducting “congruity analyses of proxy votes” with public statements statements by delegated fund managers. 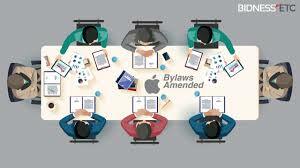 On the surface, this stated practice of voting against shareholder resolutions that have been determined to be in the best interests of the company suggests there is a preference for supporting management over the interests of clients in improving company performance as soon as practical. The resulting disconnect between value creation and proxy voting sends mixed signals to clients, the company and the marketplace. It could have the practical effect of giving companies more room to ignore or delay value enhancing actions. 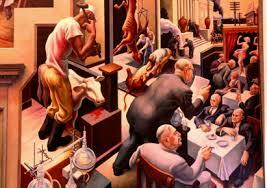 Fisch argues that index fund investors can switch and some can. However, many employer sponsored 401(k) and other plans provide few choices. Main Street investors are often, as Strine notes, “forced capitalists.” If their 401(k) plan administrators take little or no initiative to investigate potential conflicts or breaches of fiduciary duty, how would they know? Like index funds themselves, the only tool “forced capitalists” might have is “voice.” However, like index funds, they need information before they can voice concerns. Under the current system, proxy votes only need to be disclosed once a year and can be in a format that makes sorting and analysis difficult. More frequent, transparent and user friendly proxy voting records would make it easier for employees to argue for investment options better aligned with value creation. Such information would also make it more difficult for employers to ignore their fiduciary duties. I will address more of the rationale and benefits of “real-time” disclosure in an upcoming post. Check back or subscribe to email notifications. Maybe they wanted to support Apple’s management while the company is under attack from the FBI. ISS recommended a “For” vote. Shouldn’t that have guaranteed passage? We probably won’t know for months which Apple shareholders rejected real proxy access… and maybe that’s the key point. Video Friday: UK Law Commission Clarifies Fiduciary Duty? their obligations were entirely defined and limited to their contractual obligations or required no more than a duty of care. Yesterday, I posted a recent letter to the editor of Pensions & Investments praising their editorial, Winning Over Proxy Voters, which argues that institutional investors have a fiduciary duty to announce their proxy votes in advance of annual meetings, if doing so is likely to influence voters. If institutional investors heed their call, it will speed the development of open client director voting (CDV) and more intelligent proxy votes. Below is an email I sent to Pensions & Investments (P&I) editorial chief Barry Burr praising their editorial enhancing fiduciary duty and opining on how it may speed the arrival of the time when retail investors will vote their values with the simple push of a button or two on their cell phones. I will follow this tomorrow with some additional remarks regarding the advent of open client directed voting, assisted by this expanded fiduciary duty. Thank you for your important editorial, Winning Over Proxy Voters, which argues that institutional investors have a fiduciary duty to announce their proxy votes in advance of annual meetings, if doing so is likely to influence voters. Guest Post by Adam M. Kanzer, managing director and general counsel of Domini Social Investments LLC, New York. His responsibilities include directing Domini’s shareholder advocacy department, where for more than ten years he has led numerous dialogues with corporations on a wide range of social and environmental issues. The following originally appeared under the same title in the May 14, 2014 edition of Pensions & Investment. I added a few additional links. This is the last in a three part series. See also Fiduciary Duty to Announce Votes (Part 1): Editorial Calls For Advanced Disclosure and Fiduciary Duty to Announce Votes (Part 2): Historical Background. Send you a copy of their proxy voting policies and their proxy voting record. Report their votes in advance of annual shareholder meetings to ProxyDemocracy.org. 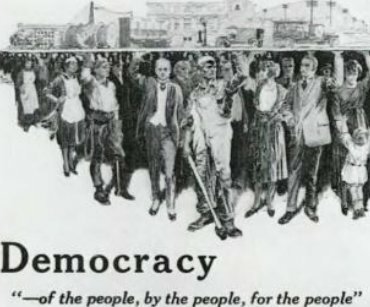 Make a small donation (not tax deductible) to ProxyDemocracy.org to keep that valuable service going or contact Andy Eggers to make a tax-deductible contribution through their 501(3) affiliate. I’ll match donations up to $2,000 until the end of June. This is the first of a three part series. See also Fiduciary Duty to Announce Votes (Part 2): Historical Background and Fiduciary Duty to Announce Votes (Part 3): Take Action. A recent editorial in Pensions & Investments (P&I), Winning over proxy voters, essentially argues that pensions have a fiduciary duty to announce their proxy votes in advance of the annual general meeting (AGM) if doing so is likely to influence the vote. This minor extension of current practice could have a profound impact and should also apply it to mutual funds and investment advisors, as well as other institutional investors, such as endowments. The editorial discusses Warren Buffett’s recent reluctance to vote against the pay package at Coca-Cola. My first effort to record a video on corporate governance is about my proxy access proposal, now being voted on at Reeds Inc. (REED). The video below explains Reeds’ great potential and why I submitted a 2013 shareholder proposal to allow shareholders proxy access for up to two director nominees. The Investor Responsibility Research Center (IRRC) Institute today announced the first recipients of a new annual research competition that examines the interaction of the real economy with investment theory. A blue-ribbon panel of judges selected two papers – one practitioner and one academic – for the new IRRC Institute Research Award. The authors of each research paper received a $10,000 award. “Cash balance” cases alleging that the cash balance pension plan itself violates ERISA prohibitions against age discrimination, or results in unfair annuity calculations or inappropriate benefit freezes upon conversion. Medical premium cases alleging that premiums are excessive or that fiduciaries breached their duties by failing to apply sufficient scrutiny to the cost structure attendant to benefits. “Discrimination” or retaliation claims, under ERISA Section 510, alleging that groups of individuals were selected for adverse employment actions (such as layoffs or termination of employee status while on disability) in order to prevent them from becoming eligible for or receiving medical and/or other benefits. Will the fact that EPA registered atrazine provide adequate legal protection? Did Syngenta’s board fully consider the risk of such lawsuits? What about your company’s products and board? Intel has acknowledged in their committee charter, that directors must take into consideration corporate responsibility and sustainability performance, including long and short term trends and impacts on Intel’s business, as part of their fiduciary duty. This is a major victory for advocates of corporate responsibility and environmental sustainability, and others who strongly believe that these issues are essential in recognizing directors’ and officers’ fiduciary duty. review(s) and report(s) to the Board on a periodic basis with regards to matters of corporate responsibility and sustainability performance, including potential long and short term trends and impacts to our business of environmental, social and governance issues, including the company’s public reporting on these topics. I am very appreciative of the work put in by Irving Gomez, Intel Shareholder Relations and Cary Clafter, Intel Corporate Secretary, on this very progressive change in Intel’s Committee Charter. It will be of great assistant in moving forward with other corporations in our efforts to get corporate management to recognize that corporate social responsibility, including environmental sustainability and human rights, is an integral part of directors’ and officers’ fiduciary duty. Harrington Investments, Inc. is a 28 year-old Napa, California-based socially responsible investment advisory firm that manages assets of individual and institutional investors requiring social and environmental as well as financial portfolio performance. Harrington utilizes a comprehensive social and environmental screen, commits clients’ assets to community investing and engages in shareholder advocacy, recently introducing shareholder resolutions specifically on U.S. economic security, corporate governance, CEO compensation and advancing human rights and sustainability as part of corporate officers’ fiduciary duties. See also, Don’t Ask, Don’t Tell: A Poor Framework for Risk Analysis by Both Investors and Directors, HLS Corpgov and Financial Regulation blog, 11/15/09), Is Responsible Investing a Must, or a Should? UNEP FI on Fiduciary Responsibility, RMG blog, 7/24/09), and How companies manage sustainability: McKinsey Global Survey results, 3/2010. 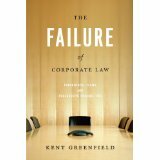 Kent Greenfield’s The Failure of Corporate Law: Fundamental Flaws and Progressive Possibilities posits that corporation law shouldn’t be thought of as “private” law, which governs the relationships of individuals, but as a branch of “public” law, such as constitutional, tax, or environmental law. Corporations are sanctioned by the state and our goals for them should include more than just maximizing profits for shareowners. On December 19, 2000 the AFL-CIO petitioned the Securities and Exchange Commission to require mutual funds to disclose how they are voting their shares. 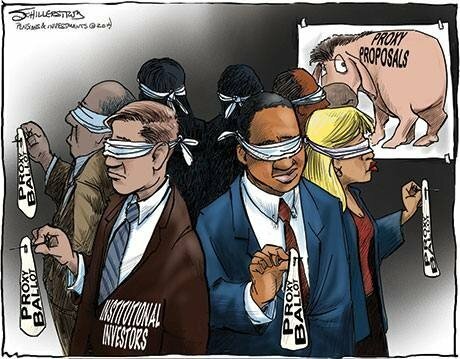 Currently, mutual funds aren’t required to disclose the principles they use when voting in corporate elections. Nor do they have to tell investors how they voted. 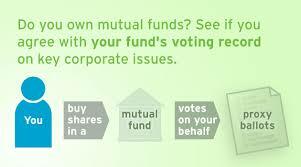 Unlike pension funds, there isn’t even a requirement that mutual funds vote in the best interest of shareholders. Recently, the UK began requiring that pension funds disclose their social investment policies (if they have such policies). Just as that law brought a new level of scrutiny to the investment decisions of UK pension funds, the reforms advocated by the AFL-CIO would allow individual investors in the US to ensure their shares are being voted consistent with their values. As early as 1988 the Department of Labor set forth the opinion that, since proxy voting can add value, voting rights are subject to the same fiduciary standards as other plan assets. In my opinion, it’s about time that mutual funds and other institutional investors also accepted the responsibilities of ownership. Most mutual funds don’t disclose their proxy voting policies or their votes. Perhaps they are reluctant to provide such disclosure for fear of being deselected by corporate 401(k) plans over particular votes. In addition, in many fund families the votes of the funds are probably not in harmony. Some funds will initially find such disclosures difficult, since they risk losing corporate clients. However, if it is a legal requirement, there will be a level playing field where advantage can best be gained by working in the shareholder’s best interest. Disclosure of mutual fund proxy voting policies and voting behavior should enhance the return on capital by increasing the accountability of corporate officers to corporate owners. To make the information easy for investors to use, the AFL-CIO asked the SEC to require mutual funds to disclose both holdings and voting information on the Internet in a user-friendly format. A copy of the petition is available by calling (202) 637-3900. For information contact: Bill Patterson (202) 637-3900 or Lane Windham (202) 637-5018. I encourage all readers to add their voices to the AFL-CIO’s request. If fulfilled, it would be one of the most important developments in corporate governance ever. 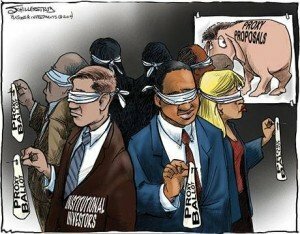 In my opinion, if adopted, mutual fund vote disclosure would rank in importance with the DOL mandate that pension funds treat voting as a plan asset and the SEC’s 1992 reforms which allow shareholders to communicate with each other without going through elaborate and expensive filing procedures.